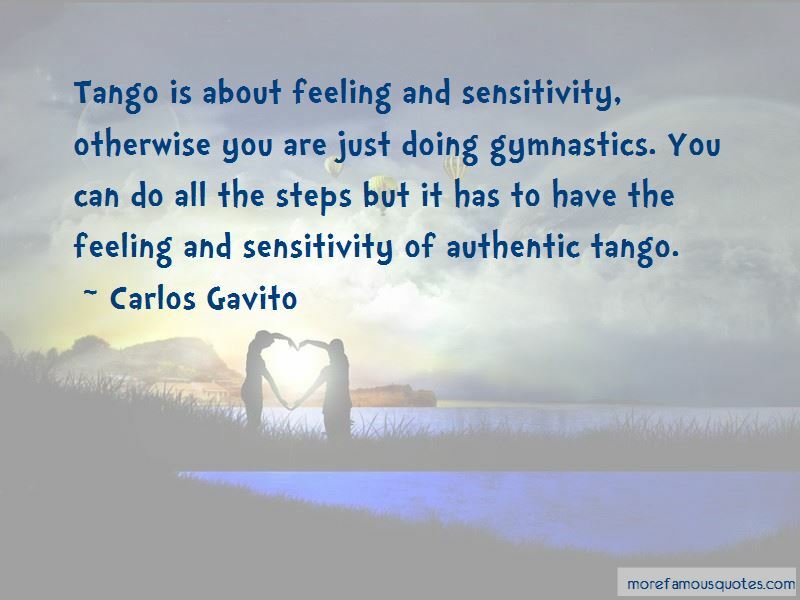 Enjoy the top 6 famous quotes, sayings and quotations by Carlos Gavito. A good dancer is one who listens to the musicWe dance the music not the steps. 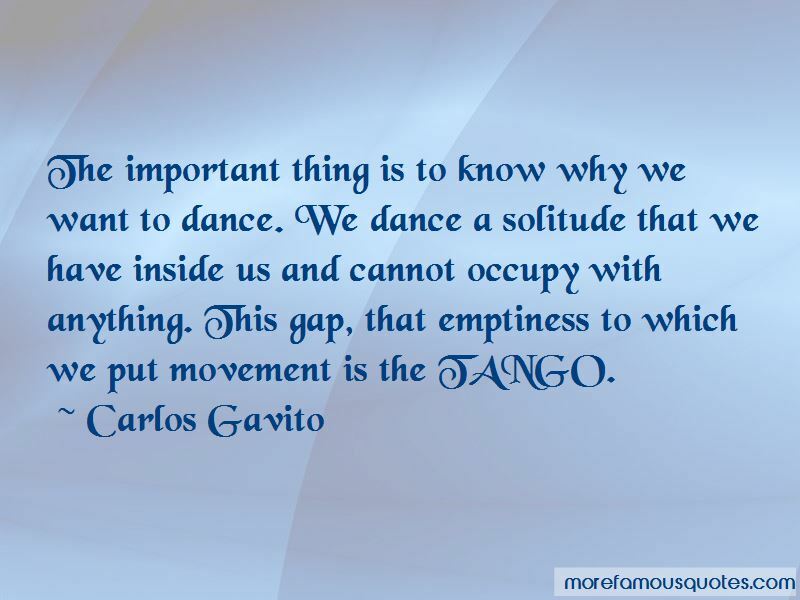 Anyone who aspires to dance never thinks about what he is going to do. What he cares about is that he follows the music. You see, we are painters. 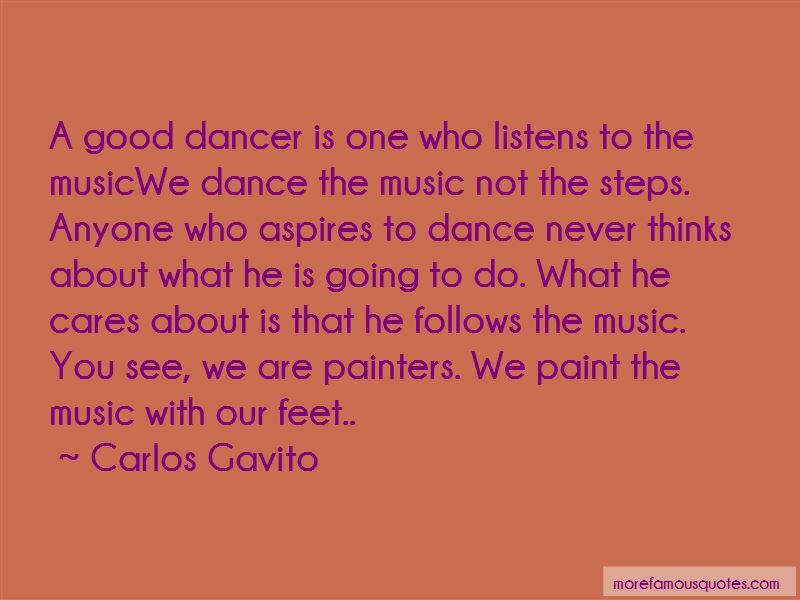 We paint the music with our feet..
Want to see more pictures of Carlos Gavito quotes? 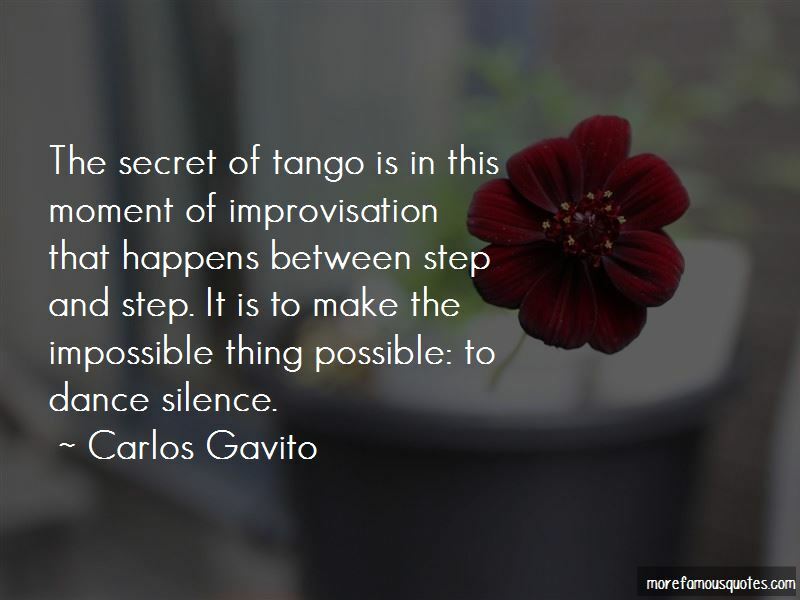 Click on image of Carlos Gavito quotes to view full size.